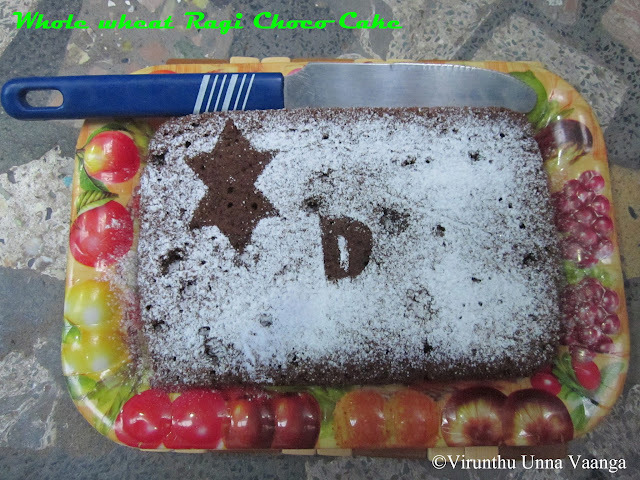 The taste of the cake is very different compared to our normal cake... 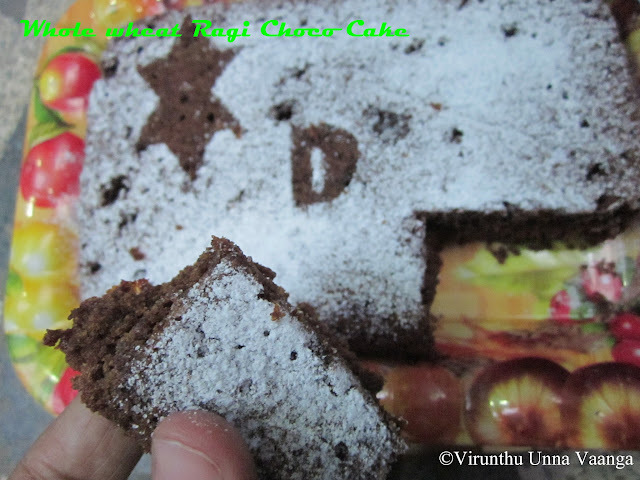 But we thoroughly enjoyed the taste of the cake, the sweetness of the cake too very mild can feel the taste of coco, jaggery n honey... Awesome cake it was!!! 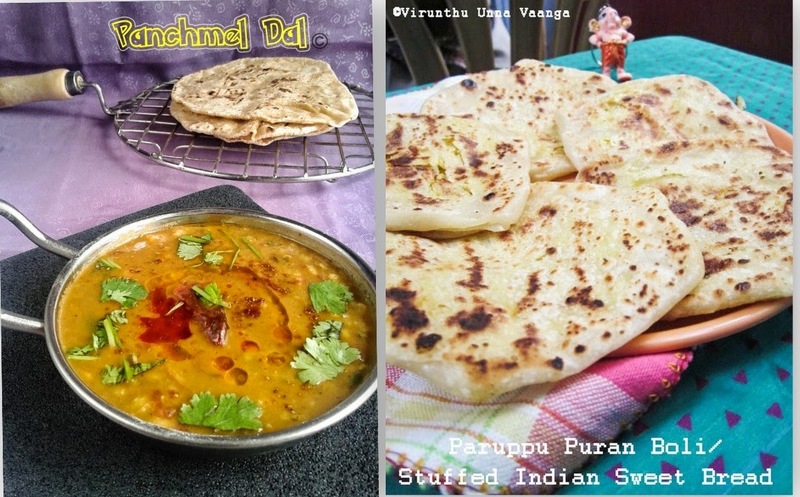 Source - Divya's Culinary Journey - I modified only one thing. Pre heat the oven @ 180 Degree centigrade for 10 minutes. 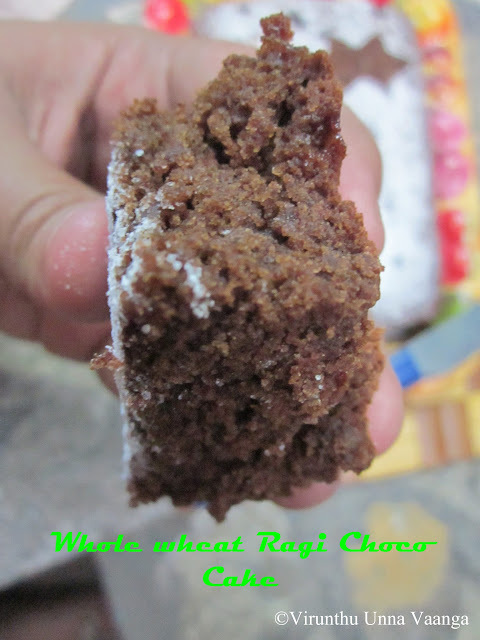 Sift whole wheat flour, ragi flour, baking soda and coco powder. Take a wide bowl add oil, grated jaggery, honey stir it well. Now add milk vinegar mixture and vanilla essence and mix it well. 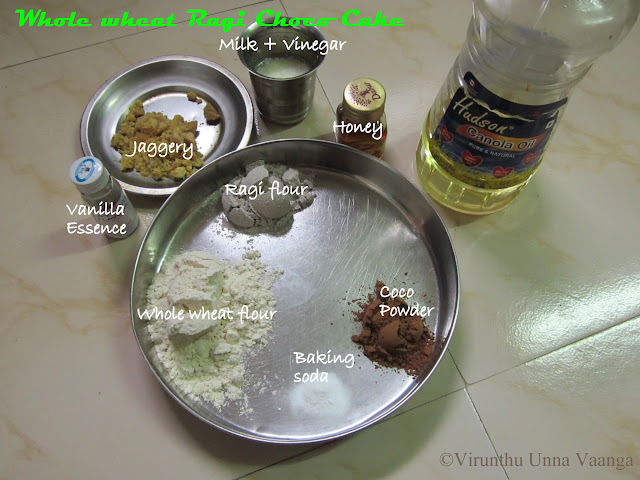 Add dry ingredients to wet ingredients and mix it well and pour it in greased baking tray. Bake it for 20-25 Minutes (Mine got baked in 20 Minutes) and cool it completely. 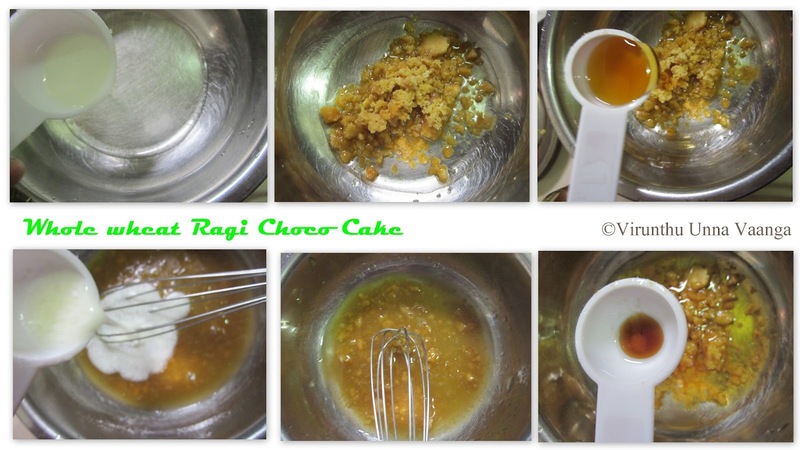 Add jaggery according to your sweet taste. 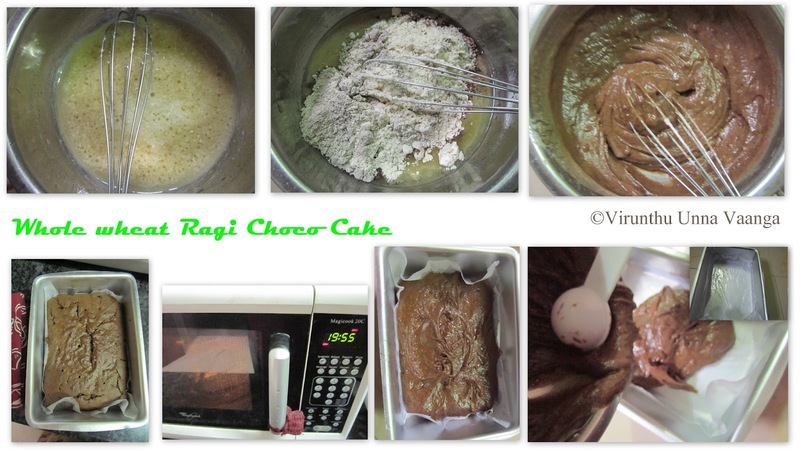 Original recipe baked with yogurt and milk but I don't like yogurt so I replace with Milk with Vinegar. You can use Yogurt (3 Tbsp) and milk (1 Tbsp) instead of it. 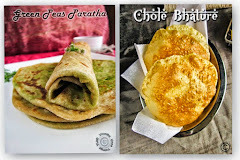 Nice one Viji ....it looks sooo soft .. 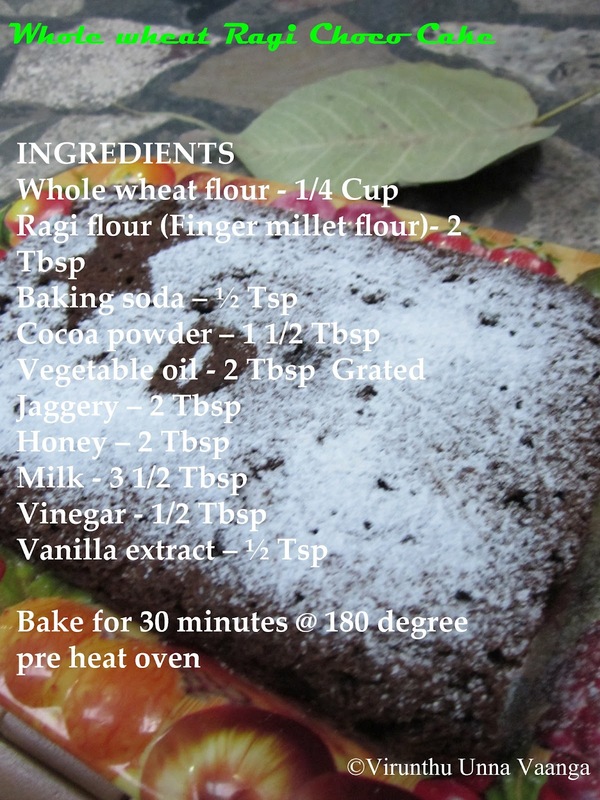 Healthy and spongy Cake !!! 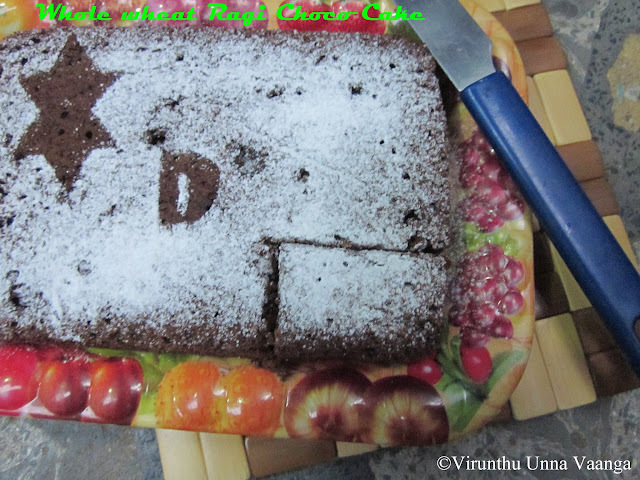 Sooper soft and moist...yummmy yummy! cake looks so mist and soft dear...Healthy cake..
very healthy ...looks so soft & yum ! 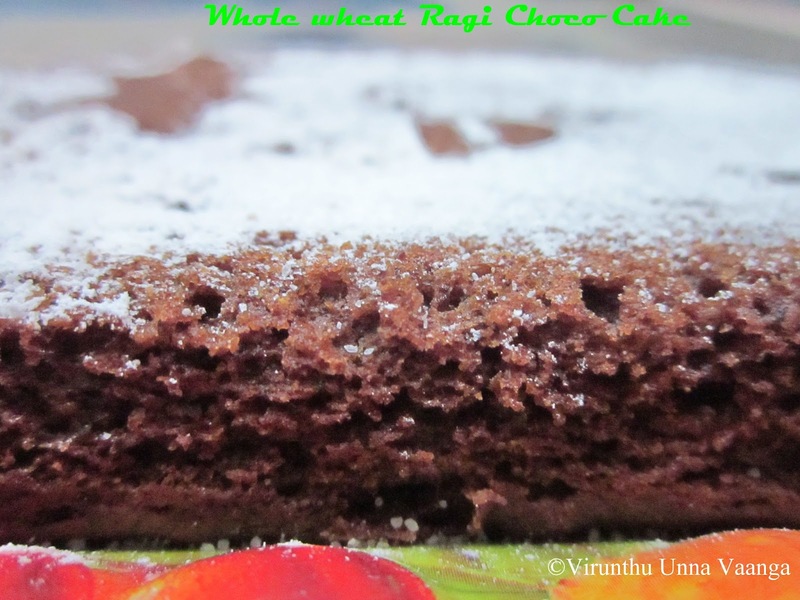 cake looks tempting,healthy version..feel like grabbing it,loved the eggless version..
so healthy & delicious ragi choco cake, i too have tried this combo long back...liked the addition of jaggery here...looks super moist n tempting! out of whole wheat flour. thanks for sharing.